Despite the fact that Brooklyn singer-songwriter Kevin Devine has been around for more than 10 years now and has previously released five LP's, he's somehow remained known to me only as 'that guy Brand New and Manchester Orchestra like to tour with'. 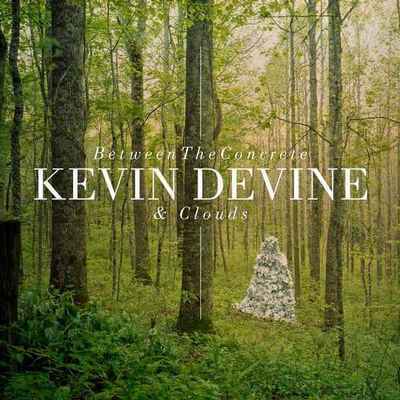 This year however, I've aimed to change this following the arrival of Devine's sixth LP "Between The Concrete & Clouds", which is incidentally the first Kevin Devine album to be recorded with the help of a full backing band. Getting familiar with Kevin Devine through this album, the first artist I immediately feel like comparing him to is fellow singer-songwriter project Paper The Operator. 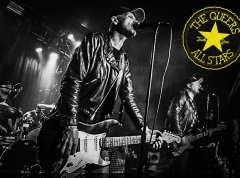 The two are similar in the predominance of fuzzy, 90's style electric guitar riffs, yet Devine set himself apart by coating the light-hearted chords with a slightly eerie twist that betrays his fascination with Nirvana. Furthermore, he's also more likely to take his expression in different directions, with a number of tracks having a twangy, almost folksy moments at times. And then there are the more specific hints, such as "11-17", which sounds like a one of the more calm and thoughtful moments on Brand New's "The Devil And God Are Raging Inside Me". Some songs also get quite poppy, like "Wait Out The Wreck", which lies somewhere between Paper The Operator and I Can Make A Mess Like Nobody's Business, and others, like "The City Has Left You Alone", have moments that could easily be compared to recent Conor Oberst material. 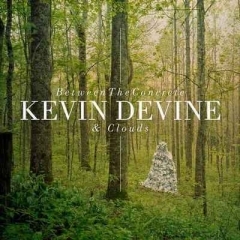 What this should tell you is that Kevin Devine at this point is nothing if not versatile in the way he draws inspiration from both influences and contemporaries and the variety offered by "Between The Concrete & Clouds", along with a solid number of quite catchy parts, is among the qualities which certifices it as a solid record, which has potential to grow quite a bit with each extra listen. When I don't go ahead and give it a top mark then, it is mostly because the competition in the genre is quite hard these days. Already at this point in the year, Bon Iver has shown us that it's possible to sound more ambitious and beautiful, I Can Make A Mess Like Nobody's Business has shown us that it's possible to sound even catchier, and Charlie Simpson has shown us that it's possible to do a bit of both at the same time. With such stiff competition, even a project on the rise, such as Dallas Green's City And Colour, can get a bit obscured behind the current frontrunners, and while I'm giving Devine a slightly better mark than I gave Green, the somewhat light-hearted approach he offers here has a similar problem. It's easily enjoyable and accessible but it just doesn't quite click with me the way its best competitors have this year.